Sean Murphy is a saxophone performer and teacher in the Dallas Area. 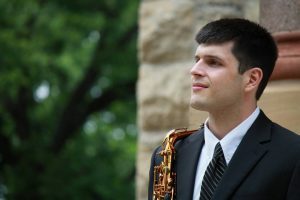 In addition to teaching saxophone at Richland College, he also maintains a large studio. At its height, the studio numbered one hundred twenty saxophonists that had lessons each week. These studios encompassed the Allen, McKinney, Frisco, Richardson. Lewisville, and Dallas areas. He is also the author of the eBook Building Your Private Music Studio as well as the founder of Music Studio Teacher. Cindy Hallo is a clarinetist and teacher in the Plano/Frisco area. Her illustrious career with the clarinet began in the Plano area where she studied under the Vandoren artist Paula Corley. Cindy was a quick study, learning to hate reeds and everything they stood for almost immediately. In spite of that, she decided to go to college for Music Performance and attended the University of North Texas, studying with James Gillespie and Daryl Coad. After graduating, she was offered a Graduate Assistantship at Kent State University and decided to accept, curious on how much worse reeds could get in the frigid North. Oh, poor naive Cindy. In Ohio, Cindy performed with local symphonies, played with the Kent State Ensembles, and formed a local quintet that performed around Northeast Ohio. After receiving her Masters in Music, Cindy suddenly realized that scraping ice off her windshield every day in the winter was not something she wanted to continue, so she moved back to Texas and threw away all of her winter coats. Cindy teaches middle and high school students in Plano and Frisco ISD’s, is in therapy to work out her love/hate relationship with the tiny pieces of wood required to play the instrument she loves so much, and runs marathons in her spare time. 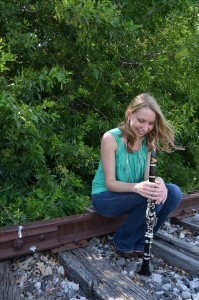 Jen Zimmerer is an active teacher, performer, and clinician in the greater Nashville, TN area. Her extensive studio boasts regional and All-State ensemble participants, high honors at solo/ensemble festivals, and scholarships to top institutions in Tennessee and beyond. 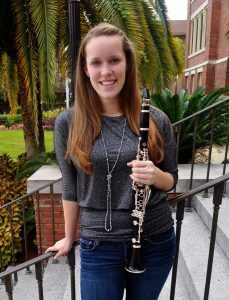 Mrs. Zimmerer blogs regularly about clarinet pedagogy and private teaching practices and has been featured on the International Clarinet Association blog. Jen Zimmerer holds a Bachelor’s Degree in Music Education from Towson University and a Master’s Degree in Clarinet Performance from The Florida State University. Her principal teachers include Frank Kowalsky and Marguerite Levin. Mrs. Zimmerer resides in Nashville with her husband Frank, a high school band director, and their two cats.